At Grafica, we’re keen to encourage the next generation of designers and so we were pleased to welcome Shola Kanmi-Jones for a week to show her what we do and how we do it. We asked her to explain here why she wants to be a graphic designer. 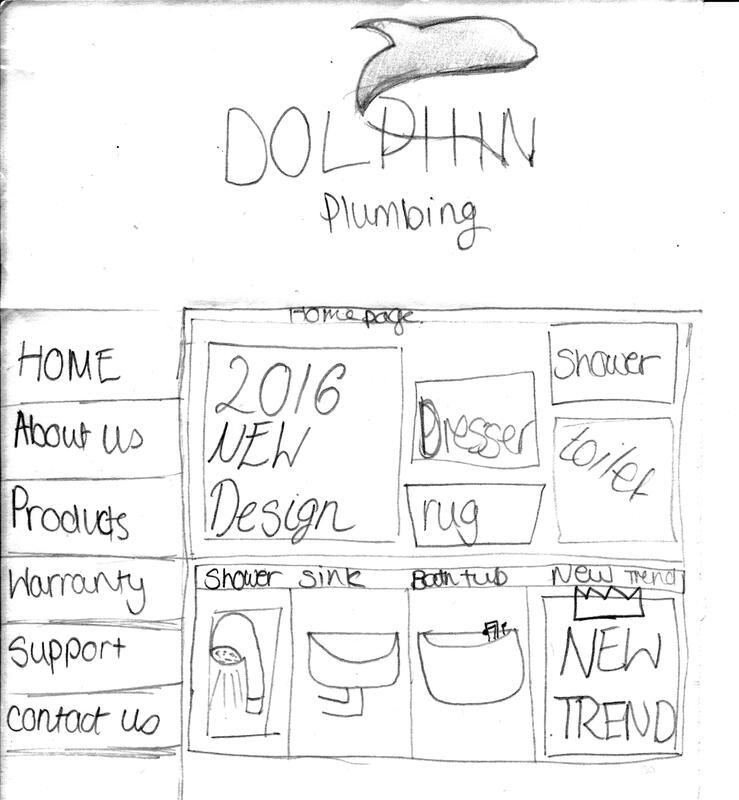 During the week, we also set her a project based on a mock design brief. We love what she’s done and think you’ll agree that her design is pretty cool. Please click on the link below to see the end result, presented in the way we show our clients real projects. I want to be a graphic designer because I enjoy graphic design as a subject which is why I am doing it for my GCSE. I am doing it because I enjoy designing things because it’s free spirited – you just put pen to a piece of paper and pouf! we have a master piece! Well, I have one, I don’t know if you like it! And graphic design needs so much thinking – once you’ve done all the writing bit you need to remember the important bits, like the target markets, why you’re doing it and what the purpose of it is. Then you can run with your ideas. 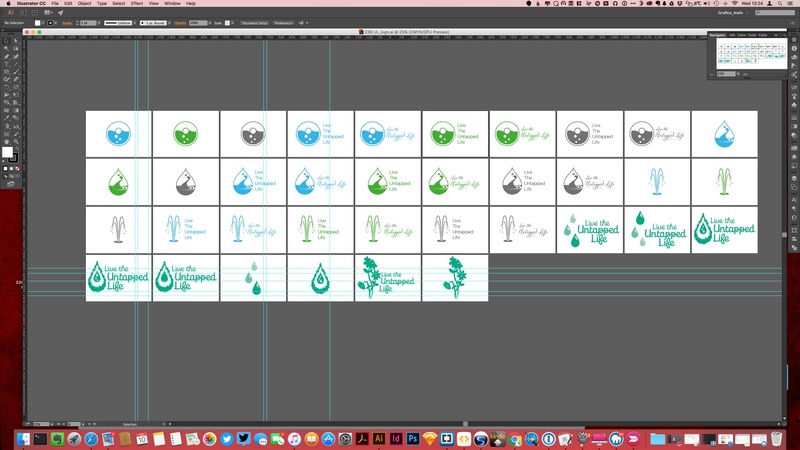 There are a few people out there who wonder what we do to ‘just’ come up with a logo—and why it sometimes takes a while. Often, the first idea a designer comes up with will be the best, but there is more to it than drawing a symbol or worrying about the spacing between the letters on a logotype. It’s also important to make sure that the logo and brand will work in every place it is needed (think of those funny images you’ve seen on social media of inappropriate breaks and folds in posters, vehicle wraps and signage). 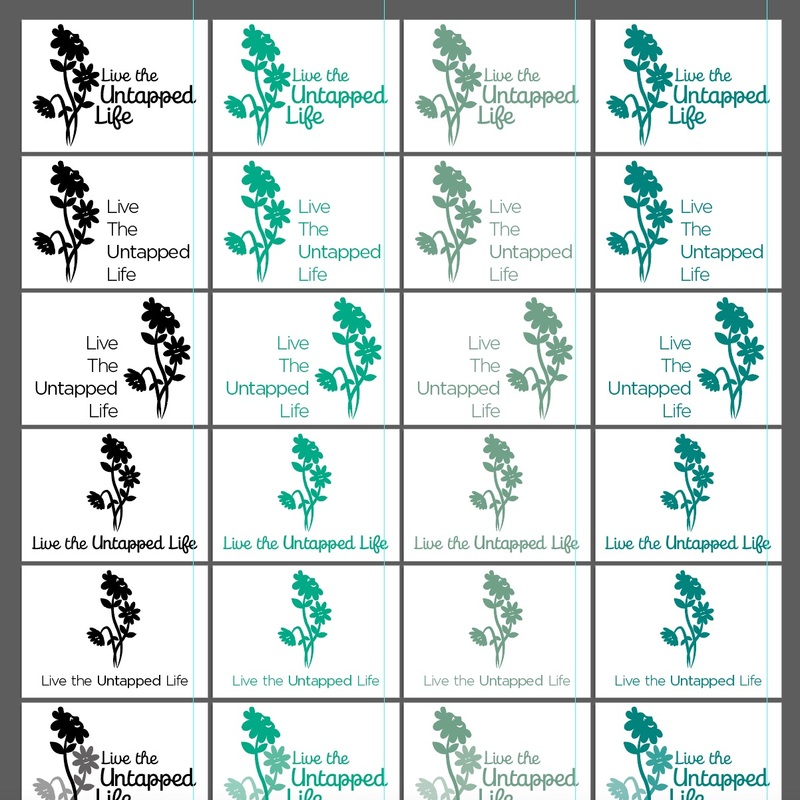 Late last year, we created a brand for Emma Leach’s new business, Live the Untapped Life, and have Emma’s permission to share the story of how her new identity came into being here. Thank you Emma! It was a true partnership between Emma and Grafica that produced a result we are all proud of. We hope you enjoy the story and find the insight into the process helpful. Emma has set up her own consultancy business which helps her clients to realise the potential that is buried under their everyday busy lives. She works with them to reach for their dreams – and come up with some new ones! 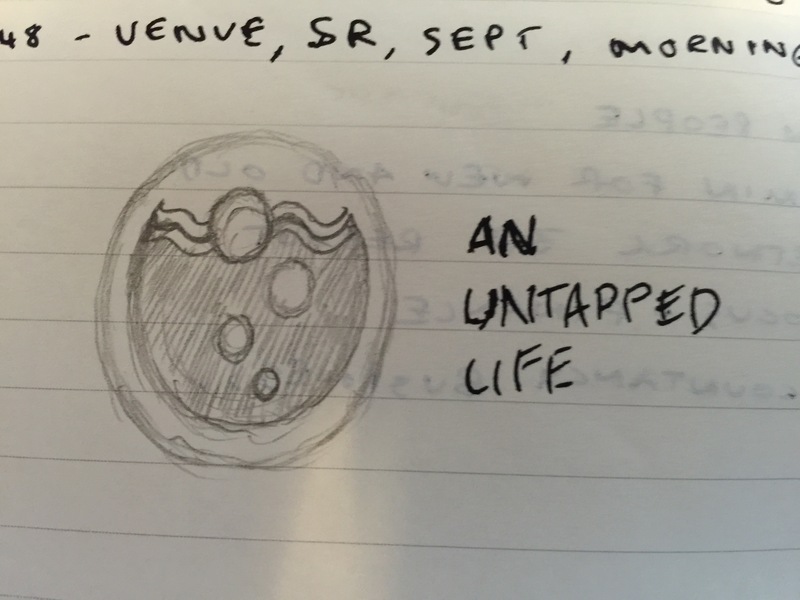 During our initial conversations, Emma conveyed that she really liked an emerald green colour and that she wanted her logo mark to convey the energy of water as it bubbles up through the ground for the very first time at a spring. Now, there are two main challenges for this, the first being that emerald green tends to signify vegetation and water is most often symbolised by the colour blue. The second is that a one colour flat image has to be carefully drawn to show the energy of a 3D moving liquid. That said, it’s not impossible and we do love a good challenge! So, we came up with a couple of initial ideas that we liked and a third that we liked a bit less and sent them over. What we liked though, is that Emma didn’t accept what she would have considered second best but felt able to come to us and say what she was really thinking. That’s indicative of a healthy partnership. Against our better judgment, we worked on one of the ideas to try to get it to scream “Wow!”, and thought we might have got there, when we realised two things: it couldn’t always be applied as needed, and, more importantly, that it had evolved so much that it was now too similar to existing images for our liking. It was back to the drawing board! 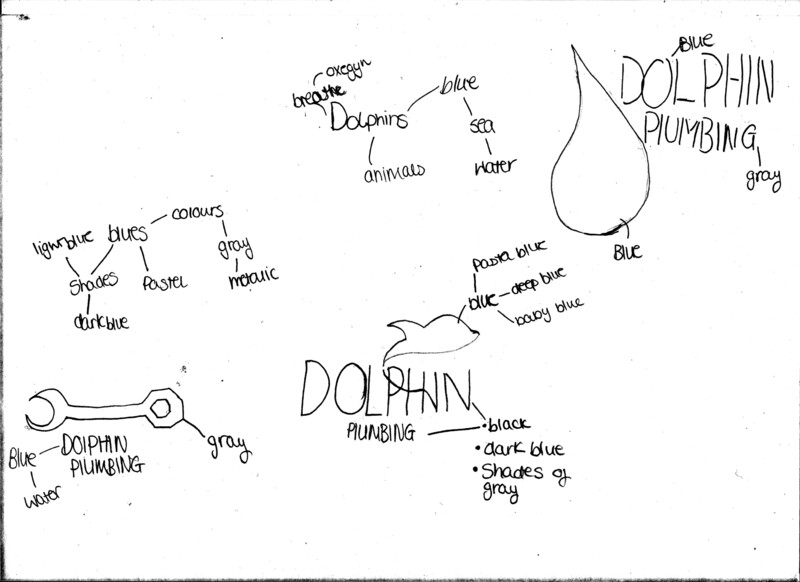 Emma’s thinking had evolved a bit too, so she explained what wasn’t working for her. Some more ideas came, this time more along the lines of ‘hidden jewels’ – like geodes. We worked up another couple of ideas, but if anything, we liked them less… Our thoughts mirrored Emma’s, so we put those to one side. The creative process gets nearly everyone thinking and as a client, letting your mind wander is part of the partnership. Even though she’d said she was not creative, Emma was clearly enjoying doing lots of her own research and asked if we would mind holding off a bit while she absorbed it all and honed her ideas. This made perfect sense to us. A couple of weeks later, Emma called us again and emailed us a sketch she had drawn. Having had space to sift ideas and let them breathe meant that she had been able to pinpoint what it was that wasn’t working for her: Her preferred green colour was just not marrying well enough with the water idea – our biggest initial concern. The rough drawing now portrayed flowers evolving from buds to blooms. This suddenly brought all the conversations together and we were able to quickly come up with an idea that said it all – and that we all loved! So, a design partnership works at its best when everyone says what they think – which can take time. We also find that clients who profess to not being creative can end up enjoying getting in touch with their creative sides. If you’re interested in seeing how you can release buried potential in your life, Emma Leach can be contacted on 07883 072501.